The BBC Scotland Headquarters were occupied, hundreds of demonstrators marched in solidarity with the Karamah (Dignity) Hunger Strike, and three people were arrested, as people in Glasgow marked Palestinian prisoners day yesterday. Before midday on Tuesday, over 30 activists entered the BBC Scotland building demanding mainstream media coverage for over 1200 Palestinian prisoners in Israeli jails who have embarked on an historic indefinite hunger strike for their rights as political detainees. The demonstrators occupied the main lobby, flew Palestinian flags and chanted “BBC shame on you, put the prisoners on the news” and “Dignity, Karmah, we support the Intifada”. The police were soon called and asked that protesters leave. The occupiers, however, instead demanded a meeting with BBC Scotland management before doing so, and after 3 hours of negotiation this request was finally granted. Four representatives from the ‘We Are All Hana Shalabi’ network met with Ian Small, Head of Public Policy and Corporate Affairs at the BBC for approximately one hour. During the meeting they challenged him over the BBC’s coverage over Palestine and particularly the silence over the recent wave of Palestinian hunger strikers, which were started by Khader Adnan over 3 months ago. The official responded by saying that the BBC aimed its coverage towards a certain demographic of people, namely white collar workers who are over 50 years of age. This admittance indicates that whilst everyone’s taxes help to fund the BBC, they deliberately appeal to only a certain section of society, alienating many others. Later, at 6pm, 300 demonstrators gathered at George Square in the city centre to march back to the BBC HQ, maintaining the pressure on the institution. However, whilst on Argyle street en route to the BBC, Strathclyde police waded into the peaceful demonstration, aggressively arresting two activists and attempting to arrest several others. The police held the two activists overnight before charging them and releasing them early the next morning. One of the activists was fasting in solidarity with the hunger strikers on Tuesday and was denied the opportunity to break that fast as the police provided no food for the over 12 hours that the pair were in custody. Meanwhile, the vibrant demonstration continued to the BBC where speeches were made in support of the hunger strikers and condemning the actions of Strathclyde police on the demonstration. 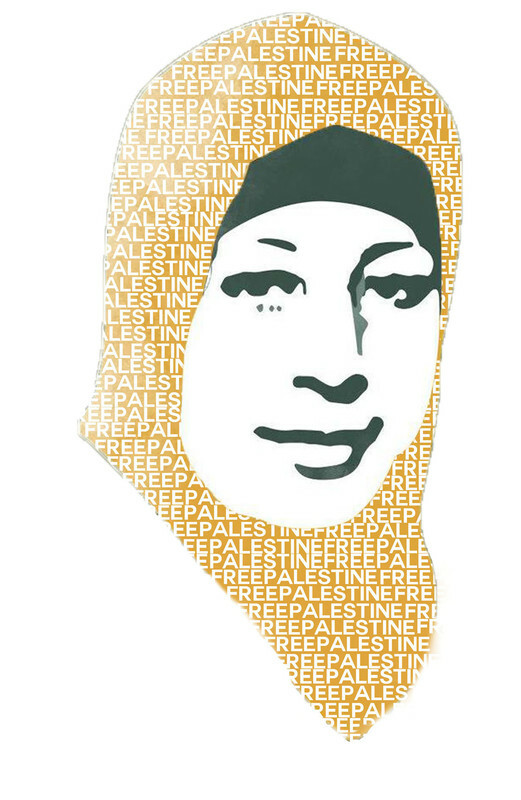 The We Are All Hana Shalabi network believes that despite the intimidation of Strathclyde Police, it is necessary that we escalate our actions in solidarity with the hunger strikers. On Friday 27th April, Palestinian prisoners on hunger strike have declared that they will escalate their resistance and engage in acts of further disobedience in the jails of occupation. In turn, we call for all the various groups in Scotland who work for Palestine to come together to organise a national demonstration at the Scottish Parliament in Edinburgh on Saturday 28th April. WELL DONE GLAWEGIANS. WE AUSTRALIANS FOR PALESTINE SALUTE YOU. Well done for reminding the BBC of their partisan and biased reporting. Out of interest does the BBC only report on stories which would be of interest to white people over the age of fifty, whatever that is supposed to mean? Does the BBC then agree that it’s completely in the interest of the rest of the population to stop paying the licence fee. The BBC are talking a crock and they know it. White-collar workers (http://en.wikipedia.org/wiki/White-collar_worker) not white people. Which is still the BBC admitting to be biased, but it’s not as bad as racism.